After hundreds of years of decline, montane scrub is so impoverished in the UK that many people don’t even realise it is missing. 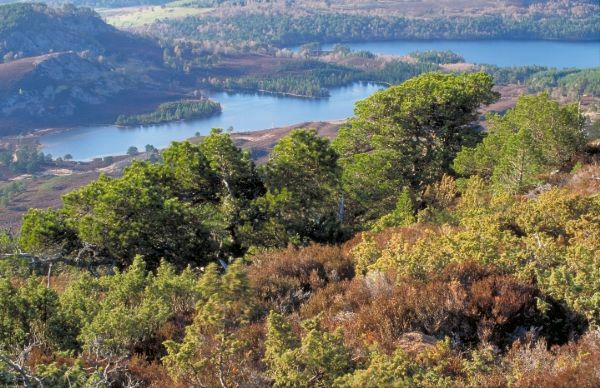 The Cairngorms National Park is home to some of the nation’s most significant areas of montane willow scrub and hosts the UK’s most natural treeline at Creag Fhiaclach, where the upper edge of the Caledonian forest peters out into a scene of stunted, twisted pines and junipers. However, these mountain woodlands have been reduced to the tiniest of fragments scattered across the vast upland landscapes of the National Park, and offer us only the briefest glimpse of what the potential is for restoring these valuable edge habitats. 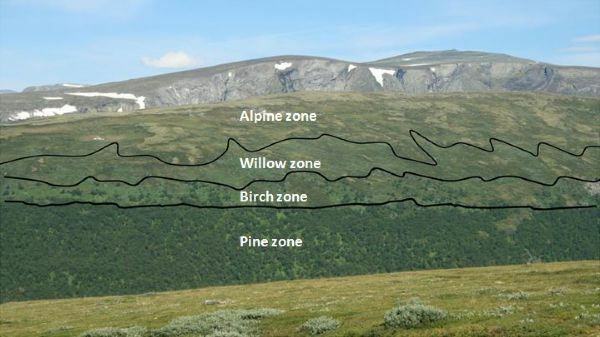 In parts of south western Norway, Scots pine woodland typically gives way at higher altitude to low scrubby birch woodland, which then in turn gives way to a zone of stunted willow scrub. Given that the geology and climate there are very similar to that in the Cairngorms, it seems likely that high altitude birches, willows and junipers would have been much more prevalent here in the past. Centuries of burning and heavy grazing by livestock and deer would have taken their toll on these palatable trees and shrubs which grow only slowly amid the poor soils and exposed conditions found high in the Cairngorms. Evidence of the vulnerability and likely wider occurrence of high altitude scrub comes in the form of dwarf birches often found growing only in wet bogs, or willow shrubs clinging to accessible cliffs and steep-sided gullies. Some of the place name evidence also points to this kind of woodland having existed at higher altitudes in centuries gone by, e.g. the Allt an Da Chraobh Bheithe or ‘stream of the two birch trees’ on the Balmoral estate which ranges from 880m to 1000m in altitude, much higher up than birches occur today. Cairngorms Nature is bringing landowners in the core of the national park together to help identify where all the remnants are and the condition they’re in, and explore ways of enhancing and expanding them. We’re working to enrich our upland landscapes by restoring this vanishingly rare habitat and in so doing, create opportunities for the wealth of plant and animal life that depends on it.